Amun Ripple XRP will incur a management fee of 2.5%. According to SIX, the ticker used to identify the asset on Bloomberg is AXRP SE while the Reuters ticker is AXRP.S. Crypto startup Amun has raised $4 million in funding to facilitate more on-ramps for buying digital assets. The company plans to simplify the process of making crypto investments by establishing channels that are familiar to traditional investors. SIX listing rules require ETPs, including Amun Ripple XRP (AXRP), to be collateralized in order to meet regulatory demands for consumer protection. ETPs are collateralized by presenting the underlying instrument for deposit either physically or in the form of a futures contract. Kingdom Trust, an SEC registered crypto and traditional assets custodian, helped to collateralize the assets. 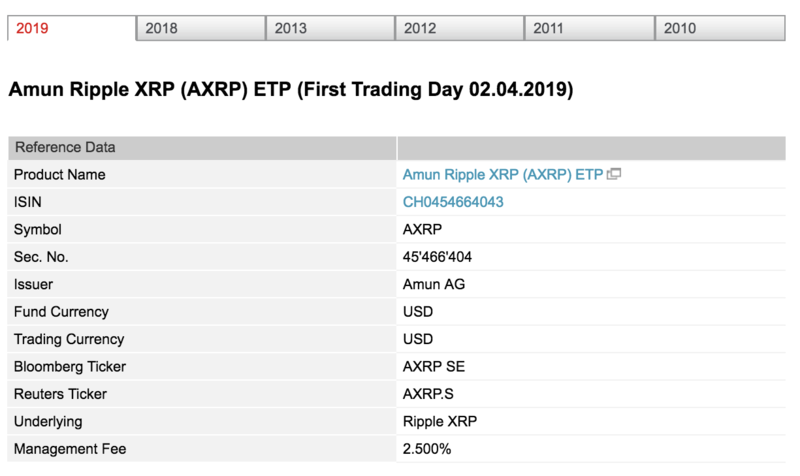 In addition to AXRP, several other crypto exchange-traded funds will be listed on SIX exchange, including Amun ETPs for Litecoin, Bitcoin Cash, EOS and Stellar Lumens. The company plans to release all of the scheduled ETPs before the end of 2019. 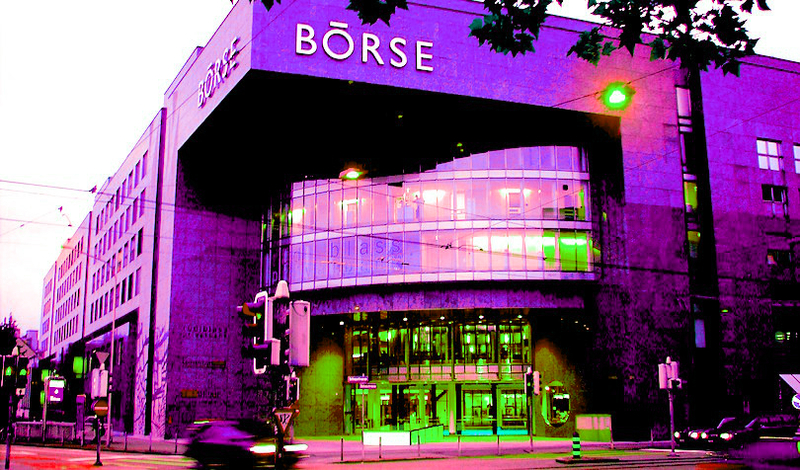 SIX, Switzerland’s leading stock exchange, plans to launch its own digital assets exchange in 2019 in order to tokenize assets and utilize blockchain technology to power trades. The platform will be built on R3’s enterprise blockchain-based settlement platform Corda.